To avoid carrying books and optimize things while traveling, I like to build a Google Map with sights and cafés/restaurants. I usually print it on paper or keep a PDF in my phone so that I don't pay for a data connection. But single Google Map is unable to take a bunch of addresses as input and doesn't offer a way to number locations, it's very time-consuming. I had to find and download numbered thumbtacks. Here's an example of Prague I started today. Are there add-on's to either Google Maps or OpenStreetMap that provide a better solution? Ideally, I could just paste a list of addresses, it would add all the locations on a map, each with a number, and let me re-order the locations easily. Edit: Google Maps has the option of importing date from a KML, KMZ, or GeoRSS file. Could this be the solution? 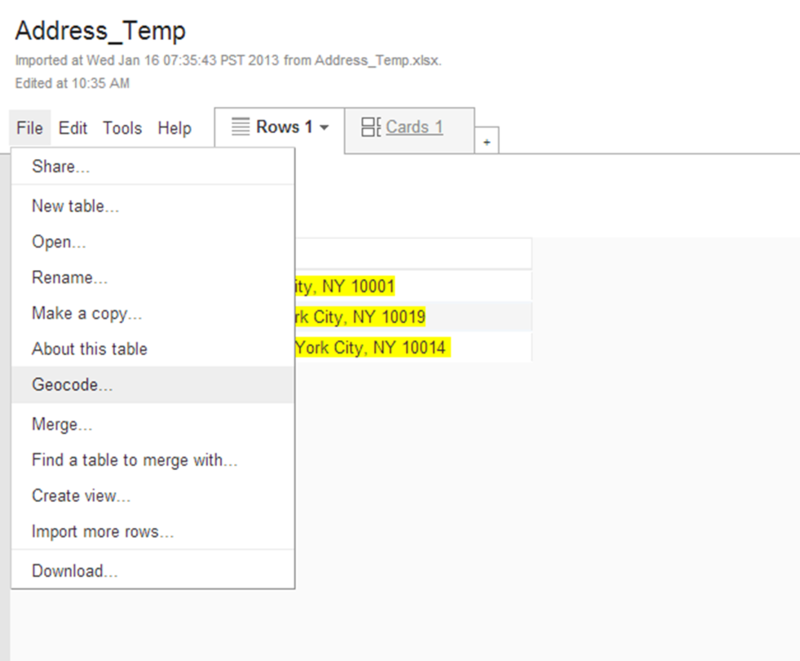 Geographic data that describes a location can be geocoded and placed on a map very easily by using Google Fusion Tables which you can find under Google Drive. 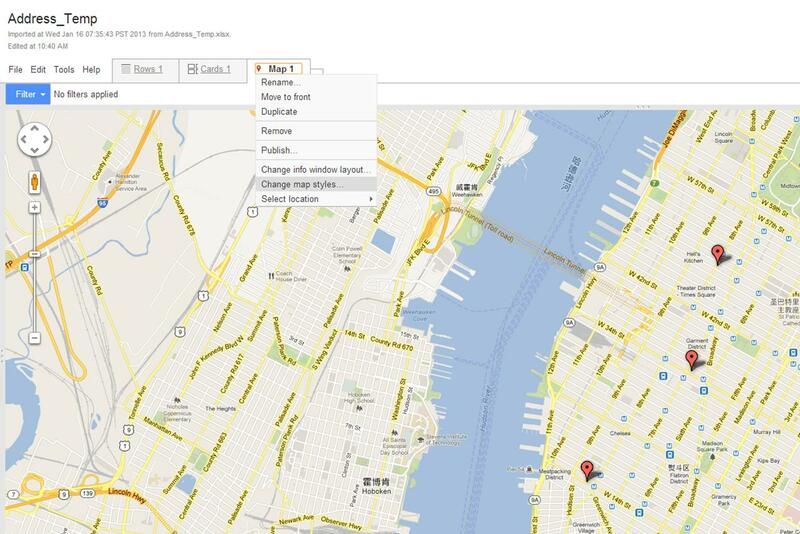 Here is an example I made to show you how to add a list of addresses on Google Map. 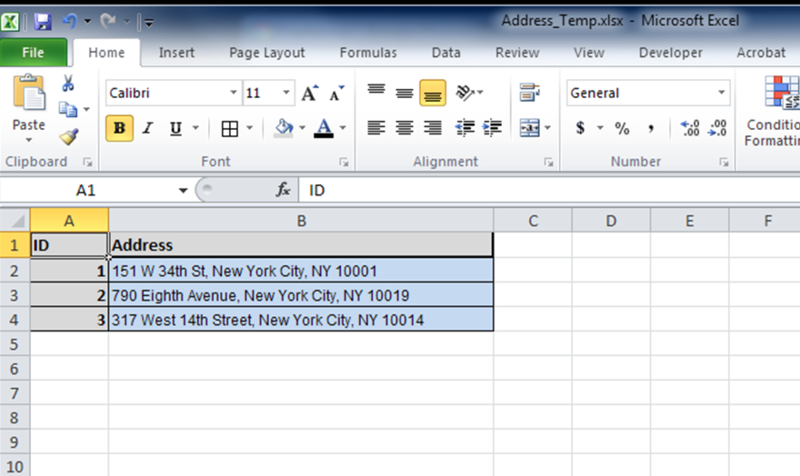 Organize your address information into a excel or CSV table similar to this one below. 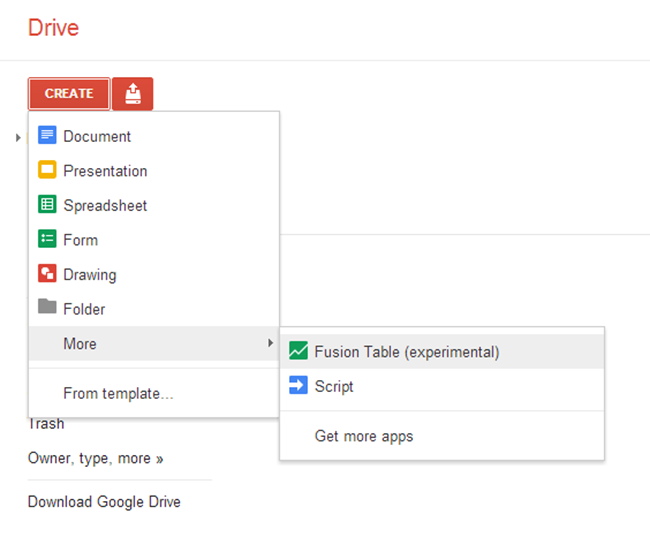 Open your Google Drive and create a new fusion table. Select the excel table you generated from Step 1 as your input table. 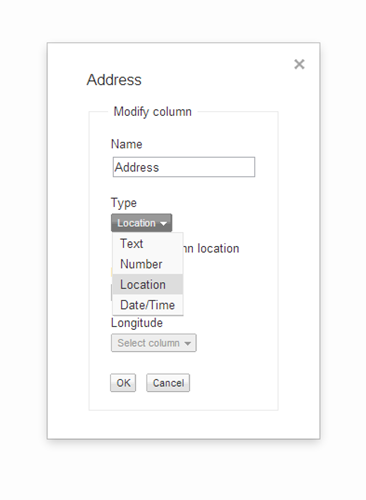 Click the column name "Address" and select the first option which is "Change"; then change the type of your address column to "Location" and click OK.
After that, go to file and click the option "Geocode" to map these addresses on Google map. 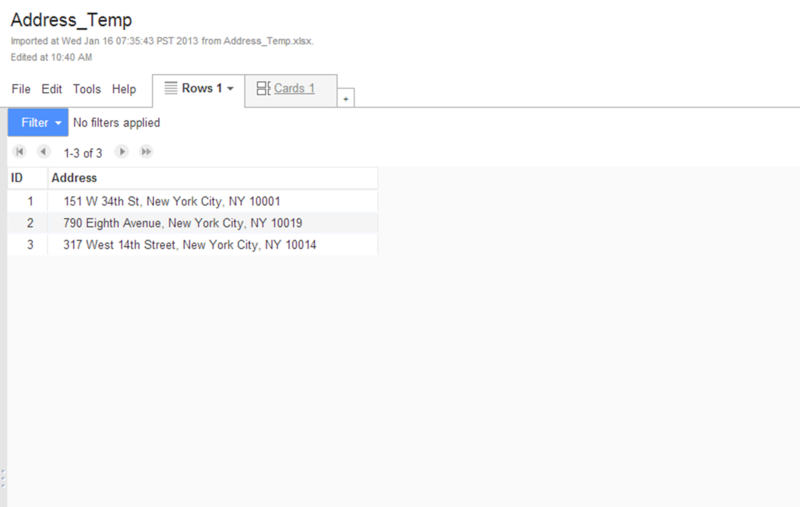 Click OK when the geocoding is done and you should have all of your addresses mapped. You will be able to customize the symbol and style of your results. I believe this will give you what you want, and here is a documentation provided by Google about how to geocode addresses. Not the answer you're looking for? Browse other questions tagged openstreetmap google-maps or ask your own question. Turning addresses into GPS coordinates into delivery route? Is it possible to get coordinates for locations from Google Map? Convert locations from ways to nodes?